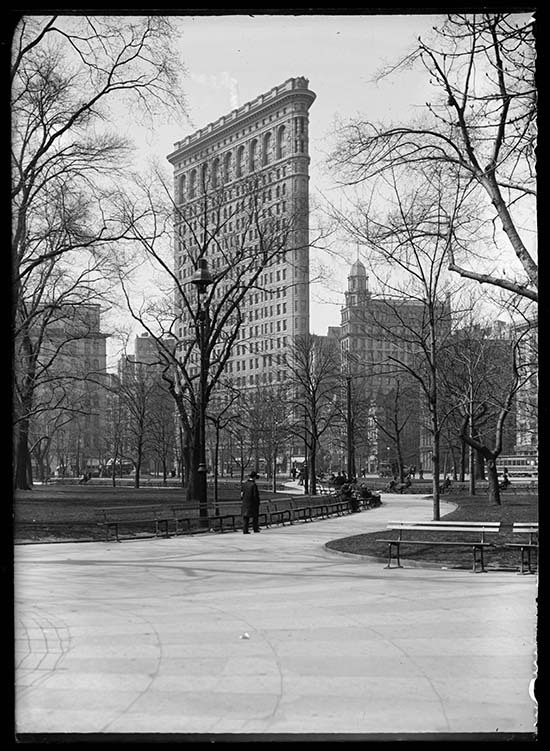 This collection of over 2,000 photographic negatives depicts buildings and street views in New York City and vicinity in the late nineteenth and early twentieth centuries. It showcases the work of Robert L. Bracklow (1849-1919), a member of the Society of Amateur Photographers of New York, which became the Camera Club of New York in 1896 and exhibited Bracklow's photographs along with those of Richard H. Lawrence and Alfred Stieglitz. The digitization of this collection was funded in part by a grant from the Metropolitan New York Library Council.